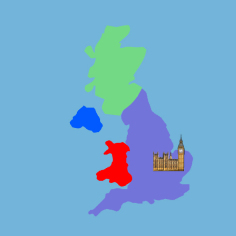 Scotland, Wales and Northern Ireland all have their own Parliaments or Assemblies. Peopling living in Scotland, Wales and Northern Ireland have national politicians who they can vote for to represent their views. They also have MPs who represent their views in Parliament in London. National representatives in Scotland are called Scottish Members of Parliament (SMPs). In Wales, they are called Assembly Members (AMs) and in Northern Ireland, they are called Members of the Legislative Assembly (MLAs). National representatives from these countries have the power to make decisions on how things like health, education and care work in their nation. This is known as ‘devolution’. England does not have its own devolved Parliament or Assembly because it is looked after by the central UK Government. If you live in Scotland, you can find out who your MSP is by going to www.scottish.parliament.uk. 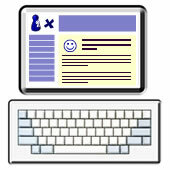 If you live in Wales, you can find out who your AM is by going to www.assemblywales.org. If you live in Northern Ireland, you can find out who your MLA is by going to www.niassembly.gov.uk.